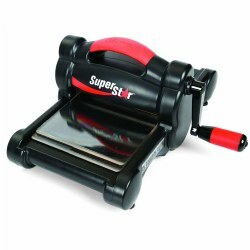 Automatic pencil stop provides quick point without over sharpening. 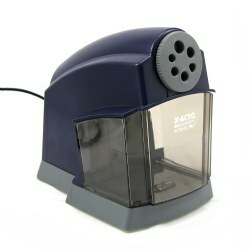 Adjustable dial accommodates both primary and standard pencils. 10 year warranty. 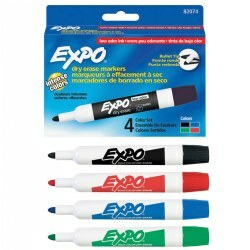 A flexible dry erase paper that makes temporary whiteboards out of almost any hard surface. 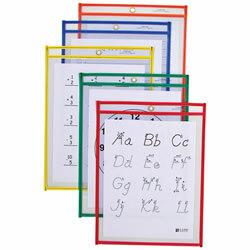 Easy to use low, cost alternative to expensive dry erase boards. An adhesive backed roll won't leave residue behind and erases cleanly. 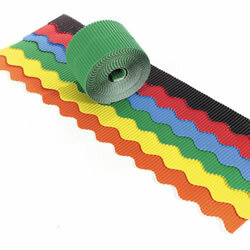 Use to cover an old chalkboard or cut to size for many uses throughout the classroom and center. 24" x 10'. This set features 12 posters showing children experiencing a variety of emotions. 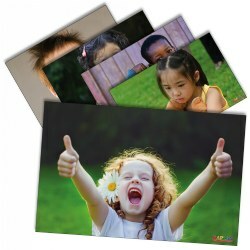 The 11" x 17" images are perfect for children to identify their own feelings and the feelings of others. 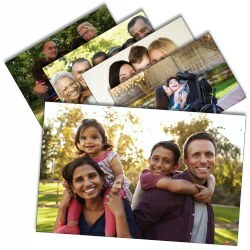 This set features 12 posters showing children and their families. The 11" x 17" images are perfect for children to identify with families like their own and families of others. 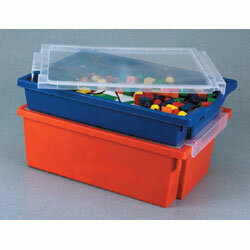 Precision-molded storage bin crafted from quality colored polypropylene. 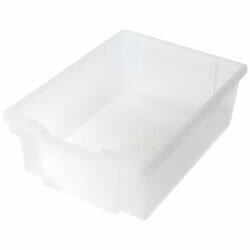 Bins measure 5 1/4"H x 8"W x 12 1/4"D.
These award-winning stackable storage trays from Europe have set the standard internationally for sturdiness and child-friendliness. The rigid plastic stands up to years of hard use. 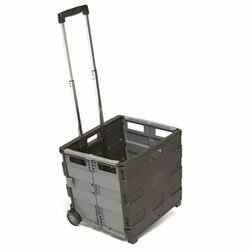 16 3/4"L x 12 1/4"W x 6"D. Lid sold separately. 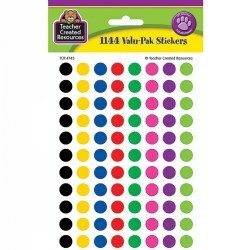 Set of 1144 stickers are 3/8" each in diameter and come in 8 colors: black, yellow, blue, red, green, pink, purple, and light green. Enhance any classroom creations, bulletin boards, windows, doors, lockers, and much more! Easy to customize - each roll can be used individually or layered to create your own unique style. Cut borders to desired length. Each roll measures 36' x 2.25". Includes 1 roll of border. 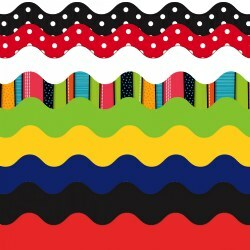 Choose from colors: Red, Lime, Navy, or Black and White. Time Management for all ages! This unique timer gives a visual picture of elapsing time. As time elapses, the red disk gradually disappears in a clockwise direction. When the disk is gone and time is up, an optional audible alert is available on the back using the volume control dial. 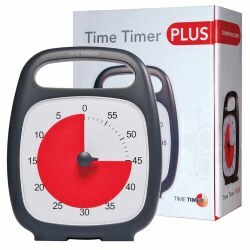 This timer is ideal for anyone who struggles with time. Requires one AA battery (not included). Size: 7.75" x 1.75" x 7.75". Bullet tip dry erase markers are low odor and work on whiteboards, glass, and most non-porous surfaces. Set of 4 include one each of red, blue, green, and black. Made in the USA. 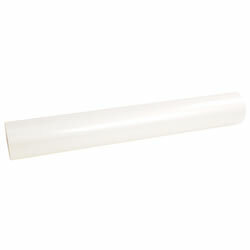 Laminating film roll to fit 25" Educator Laminator item #33404. Lamination thickness is 1.5 mil. 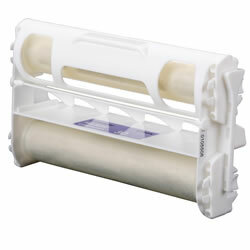 Listing is for a single roll, but two rolls of film are required for lamination. This high quality 3 mil film offers superior clarity, durability and flexibility. 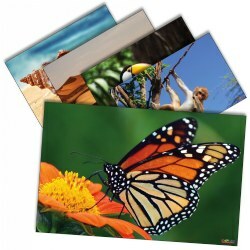 It provides an excellent bond to most photos and ink jet media. 25" x 250' with a 1" cardboard core. Fits 25" Educator Laminator (33404). 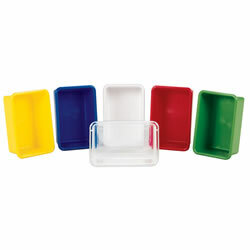 Protect the contents of your Storage Plus -- trays with these secure, snap-on lids. This is the clear tray lid only. Trays sold separately. 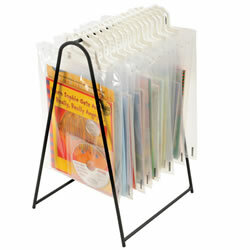 Store books, tapes, and CDs in these carry bags with snap-lock handles. 13 1/2"D x 10"W. Set of 10. Book Rack sold separately (item # 47697). Books and contents are not included. These Duracell® Procell batteries offer dependable, long-lasting power and meet the standards of durability and longevity that users demand and expect. 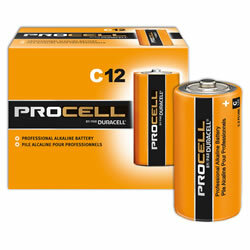 All Procell batteries contain no added mercury and are rated for reliable operation in extremes from -4 degrees F to 129 degrees F. Great for use in: Toys, Calculators, Clocks, Radios, Portable Electronics, Wireless Mice and Keyboards, Remote Controls, and Flashlights. Made in the USA. 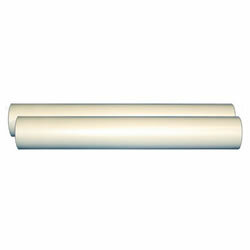 Easy to change 60' double sided laminate cartridge with 2.7mil laminate. Use with Xyron® ezLaminator (item 63394) or Xyron® 9" school laminator, model # XRN900SCH. Scalloped edge cardboard trim, 2 1/2 inches wide x 50 feet. Purchase the 6-pack and SAVE! 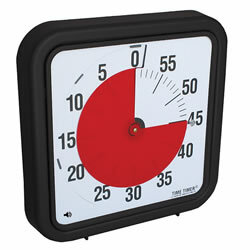 The most popular and versatile Time Timer® operates free-standing or wall-mounted. Optional soft alert when time is up. 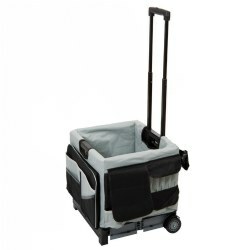 Lightweight for easy transport. Student will have fun learning "Yesterday", "Today" and "Tomorrow" with this colorful pocket chart. 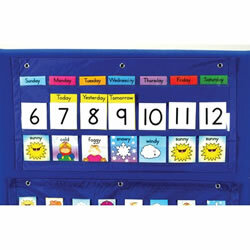 Includes 21 clear pockets, 14 days of the week and day abbreviation cards, 31 number cards and 56 colorful weather condition cards. Measures approx. 24" x 12".